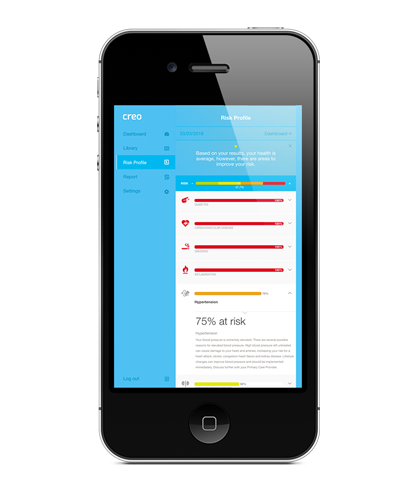 Creo’s personal health reports show the way to comprehensive population health improvements. Unlike finger-stick tests, comprehensive screenings provide more extensive and accurate risk baselines for every participant. Our screenings effectively reveal each participant’s risks for the most common and costly preventable diseases. They can also show the root causes of health and lifestyle issues that drive healthcare spending. Comprehensive health risk assessments take things beyond the basics of height and weight. Our proprietary rules engine analyzes the data derived from assessments to formulate highly accurate population health risk stratification. For each participant, the result is a personalized baseline for change.